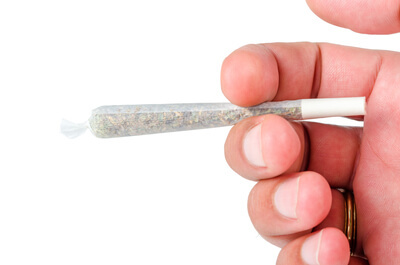 I receive many questions from our readers asking how consuming edibles vs smoking marijuana can affect their drug test results. So, I decided to write a detailed answer with recommendations that will help you increase your chances of passing a drug test. The truth is this is a challenging topic because there are many variables involved. Key variables in evaluating edibles vs smoking include type of edible consumed and the type of drug test being performed. There are plenty of options when it comes to edibles consumed. Examples are chocolates, brownies, gummy bears, drinks and even popcorn. The amount of THC ingested depends on how much you add in preparing the edibles. 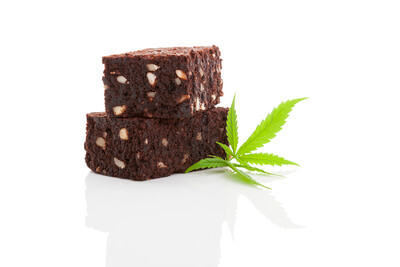 If you’re buying ‘already made’ marijuana edible, the THC level will be about 10mg. 10mgs is known as a “serving” according to Colorado law. This is what most manufacturers use as a benchmark in preparation of their edibles. If you’re preparing edibles at home, you should start with about 2mg of THC, gradually increase the dose if desired/needed. 1.When you smoke marijuana, you mainly ingest delta-9-THC, the primary active component of cannabis. Smoked marijuana doesn’t undergo conversion, as it’s absorbed directly into your systemic circulation, bypassing the liver. 2.If marijuana is ingested orally, it becomes absorbed by the digestive system and passes through the liver. The liver converts the delta-9-THC into 11-hydroxy-THC, the main active metabolite of THC . 11-hydroxy-THC is bound to carrier proteins in the blood and diffuses readily into the brain. It also stays in the blood longer than its counterpart, the delta-9 form. That’s why it takes a while for ingested marijuana to exert its effects. Some people may not start feeling “high” 2 hours or so. 3.Inhaled marijuana, however, works almost immediately within 10 minutes or so. Since it’s not attached to any carriers in the blood, inhaled marijuana will leave your system much faster than edibles. Basically, the total duration of action of inhaled marijuana is 1-4 hours; while that of ingested marijuana is about 4-10 hours. These effects should be taken into consideration if you’re worried about taking a blood test. If you ingest marijuana, it’s going to stay in your system longer and have a higher risk of showing up positive in a blood test. A company that has a strict ‘no drug policy’ will require all job candidates to pass a drug test before hiring. They’ll also requiring a drug test before any promotion. Most companies and institutes rely on testing urine samples; but, that’s not the only form of drug testing. There are also saliva, blood, and hair drug tests in addition to a urine test. If you’re applying for a job where an employer relies on a saliva drug test, then it doesn’t make a difference whether you ingest or inhale marijuana. 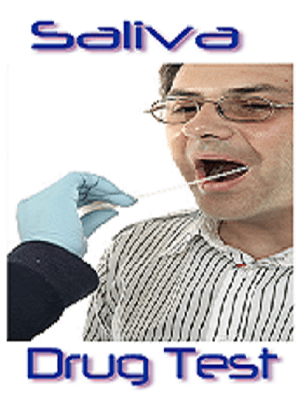 Saliva drug tests cannot tell the difference. They just measure the concentration of THC in your saliva. It’s a misconception that ingested marijuana registers higher concentrations of THC because it mixes with saliva in your mouth when ingesting. We’re constantly producing and swallowing new saliva.. THC gets into the saliva while it’s produced in the salivary glands, not inside the mouth. In order to pass a saliva drug test, you must abstain from all forms of marijuana – including edibles – for at least 24-48 hours. However, you need to make an extra effort of brushing your teeth and gums in order to get rid of any pieces of edibles from your mouth. I recommend properly flossing of your teeth and using a strong mouth wash, or gargling 3% hydrogen peroxide, as many times as possible. If you don’t have 24 hours to cleanup, there are a few other alternatives such as Toxin Rid Rescue Wash Mouthwash, which has proven itself effective. Chewing gum is pretty much a hit or miss. Blood tests are invasive and usually not used by companies to screen potential employees. THC clears from the blood fairly quickly. So, blood tests are mostly used in special cases, rather than to assess whether a person has smoked weed over the past week or so. Whether marijuana is smoked or ingested, there’s almost no difference in THC levels in the blood. In both cases, your blood drug test will be positive for THC if you ingested, or inhaled marijuana within – 7 days of your last use. Therefore, blood tests are normally used in only in specific instances to detect if someone is under the influence at given point in time. 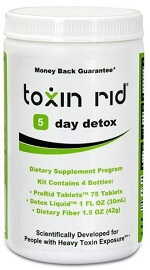 If you are running out of time before your test, Toxin Rid Detox program is an effective product that helps significantly speedup the body cleansing process. 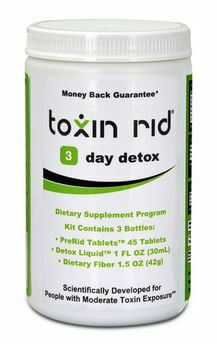 Downside of using the Toxin Rid whole body detox program is that you will have at least one or two days of shipping time to deal with. And the program does not come cheap. 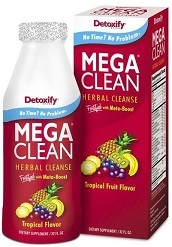 Please note that detox drinks are not effective in reducing the THC levels for blood tests. So it’s better not to waste your time or money on them. 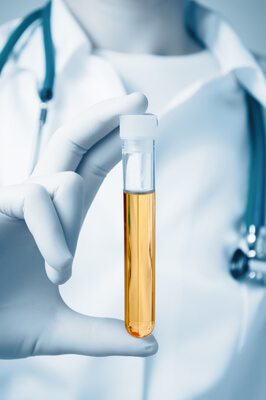 Screening for drugs using urine samples is the most common, and most popular, method utilized by most companies today. That’s why it’s of the utmost importance for your urine sample test negative for THC if you really want the job. How much you need to abstain from THC depends on how heavy of a user you are. The main difference between edible and inhaled marijuana in your urine concentration is the result of edibles lasting longer in your system after being metabolized in the liver. If you have enough time before your urine drug test, you can speed up the natural body detoxification process through light aerobic exercise, drinking plenty of water, visiting sauna and following a healthy diet. If you are running of time, I recommend considering completing a Toxin Rid whole body detox programs, which has an effective proven track record. I also recommend taking more than one home urine tests. They will help you gauge your progress as you detox. Hair drug test is the most challenging drug test, whether you consume edibles, smoke or vape. 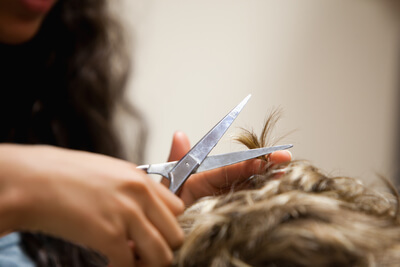 Hair is the part of your body that retains chemicals the most. If you’re applying for a job with a company that has an extremely strict drug policy, then most likely you will face a hair drug test. Usually companies will check your 3 months marijuana and other prohibited substance consumption history. The test is based on the amount of time that it takes you to grow approximately 1.5 inches of hair that is used for the test. Body hair grows much slower than heads hair. So, if you’re using body hair for your sample make sure you have plenty of time to grow it. But you must remember in order to avoid recontamination, the clock does not start running until you test clean on a home urine drug test. 1.THC levels in your hair will depend upon your own body’s metabolism, how often you consume marijuana, and if you ingest edibles or smoke. If you ingest edibles, it’s going to depend on the number of milligrams of THC present in those edibles. 2.The THC present in the hair is primarily in 2 forms: 11-hydroxy-THC and THC-COOH. Both are produced in the liver. Even inhaled, marijuana will eventually get to your liver; but only after it exerts its effects. On the other hand, edible marijuana will be converted to 11-hydroxy-THC. The Aloe Toxin Rid shampoo combined with the Macujo method has proven itself to be a very effective tool in cleansing your hair in preparation for a hair drug test. You can check it out here in our post “How to Pass a Hair Drug Test for Marijuana – 3 Effective Methods that Can Help You!” for more details. That’s all the information I have on what you can expect your THC level to be in different drug tests after injecting or inhaling marijuana. 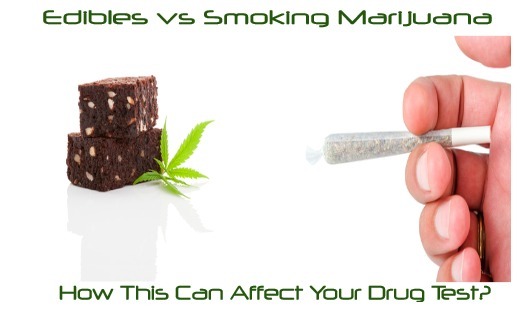 There are 4 major drug tests to consider when considering edibles vs smoking marijuana. The drug test that will show most variation is the urine test. It’s the test most widely utilized by different entities when screening prospective employees. I hope this post answered most of your questions regarding edibles vs smoking marijuana for drug test. Hi John, I have to take a hair test in a little over 2 weeks. I vape a couple of times a day and consume edibles on weekends with my girlfriend. So if I start doing to Macujo Method now, and continue doing in until my test, will that be enough treatments or not? And can I wash my hair with my regular shampoo during this time? Jack..As you vape and consume edibles, your THC-COOH levels in your hair are very high at the moment. In cases like yours we usually recommend performing at least 12-15 Macujo hair treatments plus using the Aloe Toxin Rid shampoo as your everyday shampoo twice a day with Ultra Clean shampoo on your drug test day. You can use any brand of shampoo between the Macujo treatments. But this will not increase your chances of passing the hair drug test. Only Aloe Toxin Rid and Ultra Clean shampoos are proven to be effective. After completing multiple Macujo treatments, I would recommend using a home hair drug test. This will show how the well the Macujo method worked in your case and what you should do next. Even though your THC-COOH will be below cutoff levels on your home hair drug test, make sure to perform the Macujo until your drug test day in order to avoid recontamination of your hair. have you ever heard about these foods infused cannabis? I tried frozen yogurt infused cannabis before and it really tastes good! and now, there’s new and something interesting! On the other hand, Ingesting Cannabis has a side effect that can lead you addiction because of its high dosage that you’ll never know how much dosage that food has.